Husband and wife both need drug rehab. Can they recover together? My brother and sister-in-law both used meth for years. Their marriage is falling apart. She was mandated by the court to go to meetings. She is clean but feels she can not support him to recover. Is there information I can send her to help her support her husband? They are both recovering, shouldn't they do it together? Comments for Husband and wife both need drug rehab. Can they recover together? Sister-in-law may be partially correct. So sorry that your family is suffering with addiction issues. Usually, when a couple have used together for years, they need to recover separately; in that sense, your sister-in-law may be partially correct. Through a lot of research we now know that addiction is a disease of the brain, which is characterized by relapse. What that means is, that their drug of choice has attacked each of their brains and changed their brain chemistry in VERY negative ways. 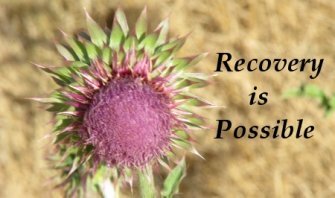 Relapse is VERY common and often the hardest part of addiction recovery. Your sister-in-law, if she is clean, is trying not to relapse. Likely, because they used together for so many years, she realizes that her husband is a "trigger" for her. Seeing him may actually make her want to use again, especially if he is still using. Most treatment centers will not allow couples, who have used together, to rehab together. They make them go to different facilities as far away from each other as possible because they tend to relapse if they are together. Once they're both FULLY in recovery, they may be able to re-establish their relationship, but for now they may need to be apart while they're trying to recover.